Dunblane is home of Andy Murray - World no 2! Visit the golden letterbox during your stay, or Andy's boutique hotel, Cromlix Hotel with its Wimbledon coloured tennis court - tea and tennis? 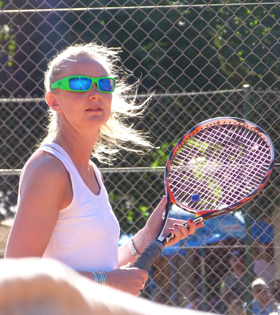 Many people like to play recreational tennis on holiday, and a tennis court is usually within reach. Scotland's most remote tennis court is on Isle of Harris. 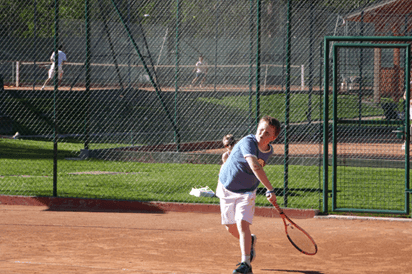 There are many holiday tennis camps in Scotland, coaches and cottages with courts. large holiday house in Argyll sleeps 16 people. Crieff Cottage Sleeps 4 people, has a court on the grounds and a further 3 tennis courts within 1/4 a mile. Owners may be able to arrange a match for you if you feel liek friendly competition and detail your standard. Gleneagles indoor tennis arena in Perthshire and Stirling University ensures year round access to indoor tennis in central Scotland. Daniel Reed - Registered RPT National and European Professional coach is available in Perthshire for Spanish Drills, Cardio tennis, private lessons - Tennis coach in Perthshire Many courts are available close to holiday cottages.